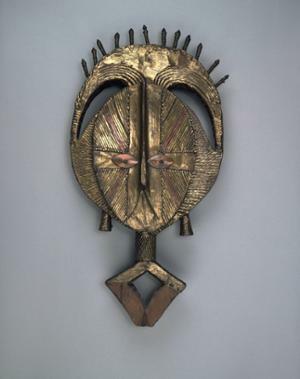 The African collection at the Penn Museum is one of the largest in the country. It includes approximately 15,000 ethnographic and 5,000 archaeological objects, mostly obtained between 1891 and 1937. A large part of the collection was purchased in 1912 from art dealers in London and Hamburg; many of these objects were collected in the Belgian Congo (now the Democratic Republic of the Congo) by the famous German ethnographer Leo Frobenius. A fair amount also came from missionaries working in Africa during the first three decades of the 20th century. This collection of sculpture, masks, textiles, utilitarian objects, armaments, and ceramics dating from the 17th century to the 20th century are recognized as superb examples of the canons of African Art. The exceptional holdings are from all regions of Africa, with a concentration of artifacts from the Democratic Republic of Congo, Gabon, Angola, Morocco, Sierra Leone, Ivory Coast, Senegal, Nigeria, Kenya, Tanzania, Ethiopia, South Africa, Namibia, Botswana, and Madagascar. Although many of the artifacts can be appreciated from a purely artistic or aesthetic standpoint, the Museum's main interest in them is as an ethnographic study collection. The collection therefore contains everything from masks and statuary pieces to clothing and musical instruments.